Save Money - Use A Wifi Pool App! Control Your Home Swimming Pool - Or Multiple Pools From Your Phone App! The HeaterReader is a swimming pool App that gives you remote access to a pool's heater and pump - without the expensive and complex installation that is required by other devices. 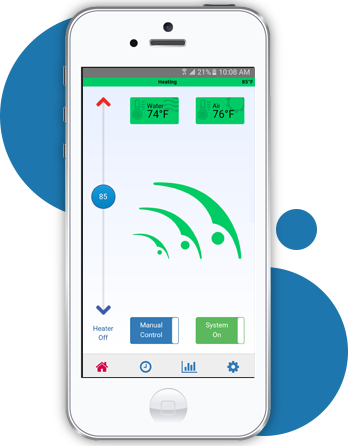 Once your HeaterReader™ has been installed, simply download our HeaterReader™ App and you'll be able to monitor, control and manage your home pool equipment. Or if you're a pool dealer or property manager managing multiple pools, you'll be able to control all your pools, from anywhere in the world. 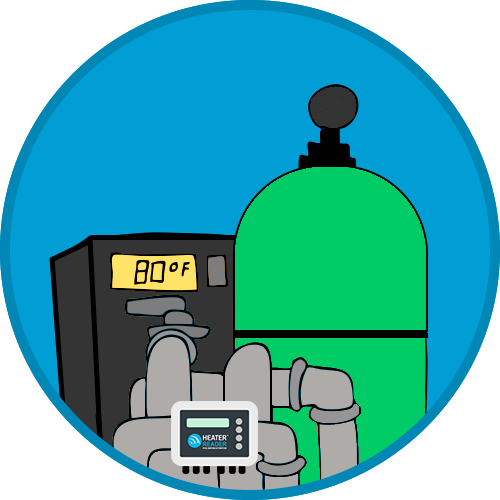 It's The Ultimate App For Your Swimming Pool Heater and Pump! Our App tells you how much you're spending to heat your pool, so you can adjust your heater's schedule and save! 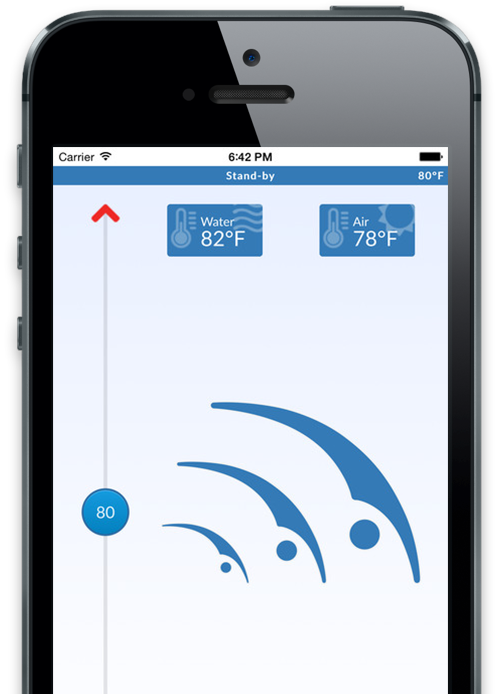 Monitor and manage your pool’s heater and pump, 24/7, with the HeaterReader™ App or Control Centre - Wherever you are! Something's wrong with your heater or pump? Find out in real-time with custom emails and notifications sent to your phone! Set schedules to ensure your pool is ready to enjoy when you're ready, or adjust it manually for an unplanned swim! HeaterReader™ is a SMART swimming pool solution! Learn more about the HeaterReader™ for your new or existing backyard pool. Control multiple pool locations from one dashboard. Find out how. The HeaterReader™ is the ultimate swimming pool App to save you money! With our 7-day programming feature, you can program your heater and pump to operate on your schedule. This means that your pool will be at the perfect temperature when you get in, without having to run the heater constantly - saving you money. Then, with our proprietary cost analysis software, you can monitor how much you're spending to heat your pool, in real time! Simply input your information and the HeaterReader will do the math for you. No more stressing over your energy bills - you'll know exactly what you're spending, on a daily, weekly, monthly and annual basis, allowing you to easily adjust the heater schedule to save! And, if that isn't enough, our real-time notifications let you know when your heater is operating properly, and when it's not, allowing you identify a problem before it becomes a major repair expense! Watch The HeaterReader™ And Swimming Pool App Video! 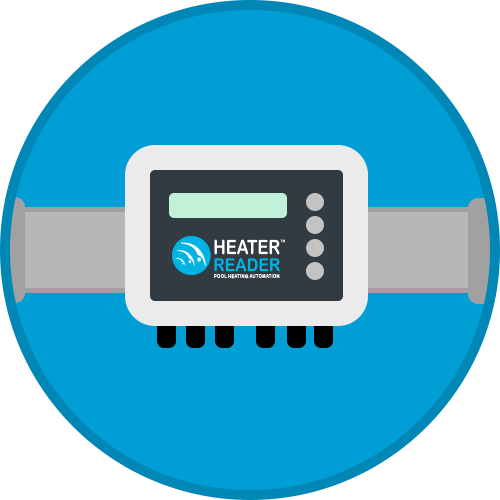 Interested in learning more about HeaterReader™ and it's many benefits? 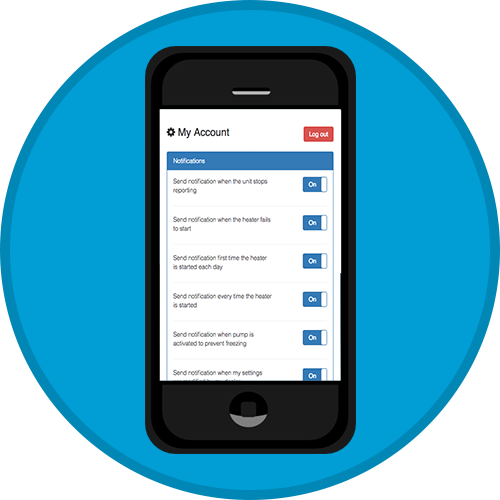 Our App tells you how much you're spending to operate your pool so you can adjust your heater schedules and save! Get real-time emails when the system starts up or when something is wrong, so that you can solve the issue promptly! With 7-day App programming you can set up to 12 personalized timers to meet your family's pool preferences. Simple installation for indoor or outdoor systems and there is no need to tear up landscaping to run new electrical wiring. The HeaterReader™ is designed for the retrofit pool market, and can be easily connected to any indoor or outdoor pool system. With the HeaterReader you don't need your heater always running. Instead, set it when you need it and save energy.